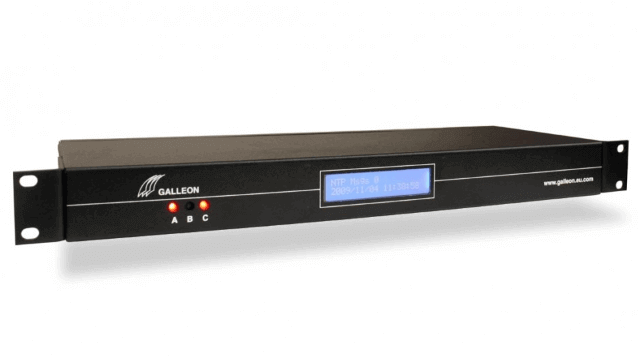 A rackmount NTP time server to synchronize your network. 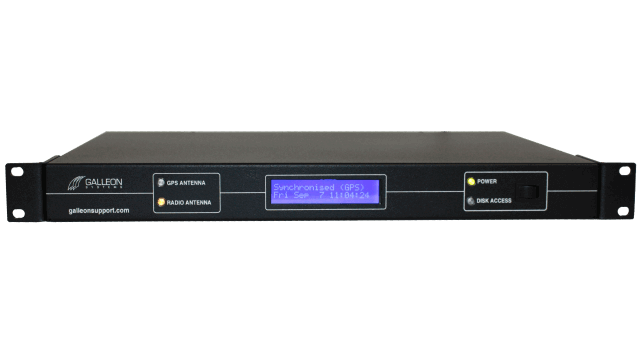 Synchronize your internal network of computers and clocks cost-effectively with the NTS-4000-WWVB-R.
An entry-level NTP time server, the NTS-4000-WWVB-R is affordable and compact without compromising on accuracy and security. 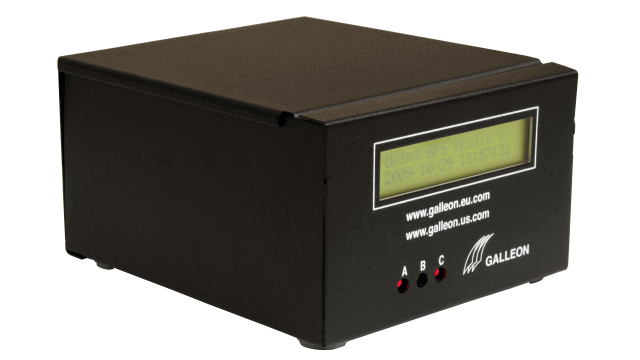 It can handle more than 3,000 NTP requests per minute from a WWVB radio source. The time it receives is accurate to within 1 microsecond. This means your internal network runs off highly accurate and reliable time. 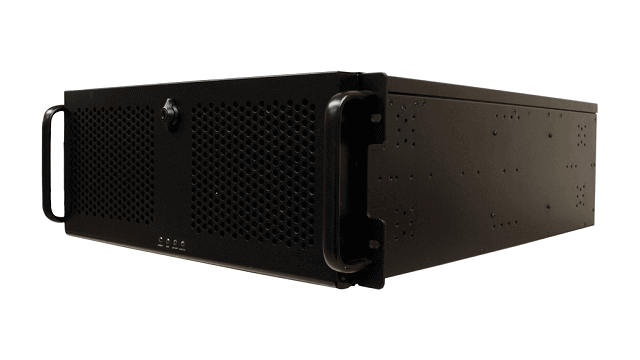 The unit connects to your network via a CAT5 Ethernet connection and fits a standard 19” rack, making installation easy for anyone. 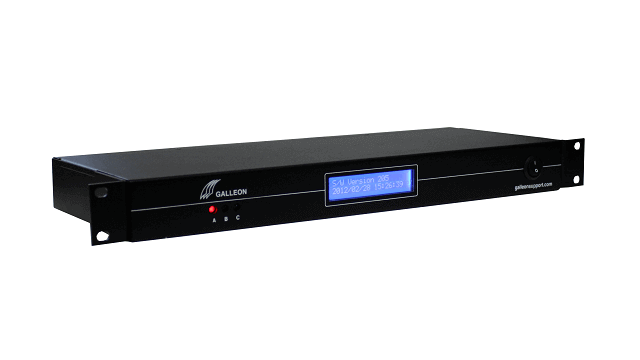 A backlit LCD display showing time and radio signal information also ensures you can easily operate and maintain your NTP time server. A weatherproof radio antenna is included with every unit. Rated to IP 65, you can place this externally in any weather, or internally if it still has access to a strong WWVB radio signal. With an optional cable extension, the antenna can be placed up to 1,000 meters away from the NTP server. Sitting within your firewall, the unit is much safer and more secure than free NTP servers that are vulnerable to attack. With a power consumption of 8 Watts, the NTS-4000-WWVB-R is a cost-effective accurate time solution. Your internal network benefits from synchronisation with much lower costs. 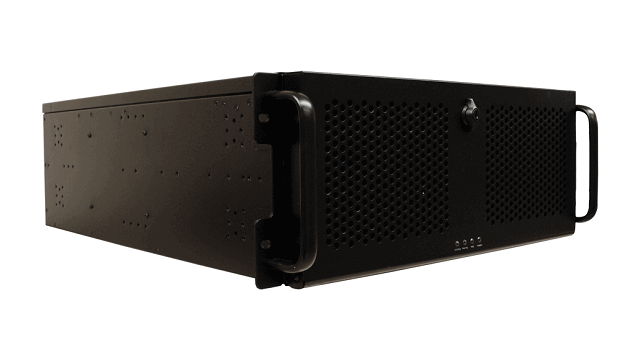 The rackmount NTP time server is essential for small to medium-sized networks which require highly accurate time.